As parents, we all want our children to get a good night’s sleep. As adults we know how important sleep is, how essential it is to good health and vitality. I am a big believer in bedtime routines and ensuring my children maintain a predictable and calming bedtime. As I mentioned before in 18 ridiculous reasons why children wake at night my children have followed the same routine since they were 6 months old. This does not mean they are little angels and that they happily drift off to sleep each night. It also does not mean that they stay asleep all night, but it does mean that bedtime struggles are far less frequent and my children have little to no fall out from late nights. After chatting to some other parents, I found that we all have had similar excuses for not going to sleep from our children. Below are reasons my own children have given me over the years. 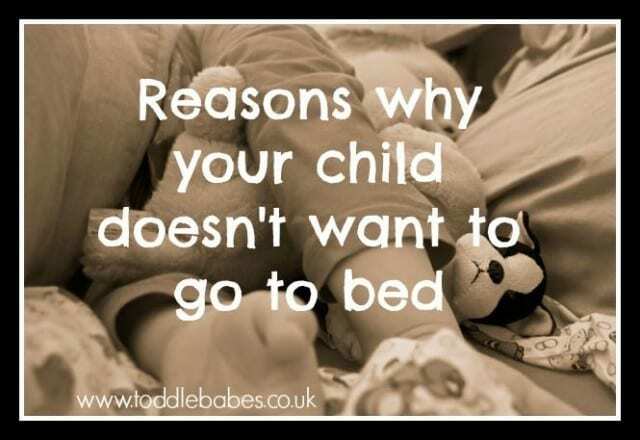 Reasons kids give you for not going to bed. My tummy/ear/toe/nose etc etc etc is sore. I just need to (insert whatever it is they just have to do here). I’m not tired (often said though a yawn). But you’re still up. Grrr, this one is my least favourite. Yup, I’m an adult. When the kids are in bed, that’s “me time”. My children know not to try this one anymore as it’s met with my most angry responses. I want to cuddle you. Yes, well…this is one of my most difficult to say no to. Because, actually, I also want a cuddle. But this then brings the drama of if I have a longer cuddle with one, then the others want the same. I’ve actually has to make it a “taking turns” thing in my house so that they all feel it is fair and they are not allowed to ask me on a night when it is their siblings turn for extra cuddle time. This doesn’t mean I won’t cuddle the others, it just means one gets slightly more that night. I haven’t packed my school bag. I forgot that I need to finish my homework for tomorrow. I just want to read one more chapter. The sun is still up. This can be a real trying one in the summer months. I just tell mine: The sun can’t read the time, you can! It’s not dark enough for bedtime. Often followed by, It’s too dark in my bedroom. I can’t find my bear/rabbit/dinosaur etc. You and daddy are talking to loudly. They initiate a conversation about friendship or feelings or something that makes you feel you need to stay and resolve it before sleep. My daughter often tells me about issues with friends just after I’ve said goodnight…and an hour later we finally finish the discussion and she goes to sleep. This one is tricky because one is never really sure if it is as “bad” as it seems or if the late hour and the place between sleep and awake and nighttime tiredness exacerbates or intensifies those emotions. They initiate a conversation about upcoming events. Like their birthday party in 9 months time! Some of these seem funny when written down and others just plain annoying, but all result in negative emotions at bedtime. To stop this from becoming a daily problem, I have taken the time to explain to my children the effects that a lack of sleep has on their emotional , social and physical well being. We’ve had talks about how sleep improves mood, how it helps our memories and improves concentration. We’ve discussed how our bodies grow and repair themselves while we sleep and that it gives our bodies a chance to de-stress. I often remind them of these when they are playing up at bedtime. So often in fact, that my 5 year old will say I’m going to sleep mum, I want to grow a bit more so I can be taller or I’ll be told…I did hard work at school, so I’m going to sleep so my brain has time to organise the new information and can help me remember it in tomorrow’s lesson. Sometimes it is helpful to know about the average baby’s sleep requirements so that you can stop comparing them to friends children and wondering if your little one is different or abnormal. Sleep researchers have discovered that babies sleep needs differ at different ages and of course that babies are individuals, just like adults and have different personal sleep needs. This list is meant to be a guide, so when looking at it, bear in mind that babies differ greatly and that it does not necessarily mean there is something wrong with your baby if he sleeps much more or much less than the average. A healthy baby will take as much sleep as she needs, so don’t worry that she is coming to harm. Notice that as they get older the daytime nap gets shorter and sometimes fall away completely. However, if your 4 year old needs a nap, it is fine to continue to do so…just because the average child may not need it, you should look at your own child’s individual needs. If she is happy, alert and thriving, then the amount she is taking is sufficient. If she seems grumpy and irritable, then perhaps she needs more. If your child doesn’t want to go to bed, take the time to talk about sleep and how good it is for them, especially at their young age. You’ll be impressed with how much they understand and how they take it on board. If you can get them to see how sleep will make them more clever, stronger, healthier and less moody, I guarantee you they’ll soon quit their bedtime shenanigans. Good luck and let me know if your children have some fantastic reasons for not going to bed. I’d love to hear about them and how you deal with them.